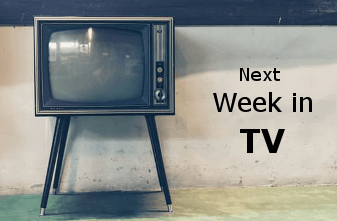 Next Week in TV 7/29: The ‘Cloak & Dagger’ Season Finale and More! San Diego Comic-Con 2018 is officially a thing of the past, yet 2019 will be here before you know it which will be the con’s 50th anniversary. But until then, it is time to relax as well as checking out what will be airing this week in the world of television. On August 1st, the Six series will be going ‘back on the block’, meaning this week will see the series finale airing on the History Channel at 10pm ET. If you didn’t know, the series was recently cancelled by the cable network, while this season has been currently seeing not-so-good ratings as well. On August 2nd, Freeform will air the first season finale of Marvel’s Cloak & Dagger at 8pm ET. Yet fear not Cloak and Dagger fans, season two has been ordered by Freeform, which was announced at this year’s Cloak & Dagger Comic-Con panel. Oh, the NFL is back this Thursday night (8pm ET) with the return of NBC’s Sunday Night Football. The Chicago Bears will be facing the Baltimore Ravens in Canton, Ohio, to kick off the NFL preseason. As for everything else, the series finale of Quantico will be on ABC this Friday night (8pm ET), while the streaming lord Netflix will drop a few more TV shows/movies throughout the week. Do check out the full listing below to see what else will be airing on the tube. As for TV news, AMC announced that both Better Call Saul and Fear the Walking Dead will see a season five sometime next year. McMafia was also picked up, so get ready for a second season there. Lastly, HBO announced this week that Game of Thrones will return in early 2019. So, there you have it TV fans! As always, please join the TV conversation on the FoCC Forums. Until next time, we will see you all next week! New: Doctor Who: Firing up Hulu, Amazon Prime, & Netflix. New: Cloak & Dagger Season Finale. On-going: Preacher, Big Hero 6: The Series, and Dragon Ball Super. Binge / Stack: Altered Carbon, Castle Rock, and Luke Cage (Season 2). Catching up: Legion, Badlands, Hard Sun, Santa Clarita Diet, Sneaky Pete, Runaways, Atlanta, The Tick, Handmaid’s Tale, Lost in Space, Krypton, Magicians, Deception, Good Girls and Star Trek Discovery. Newlyweds set out for the adventure of a lifetime; their dream of sailing the world together. The honeymoon comes crashing into the dangers of reality for Don when he heads to the one remote island where a serial killer could be in hiding. Click here for more information. In this six-episode competition, eight of the most talented makers from across the country will take on a variety of handmade projects with the hopes of impressing Poehler, Offerman and our expert judges, Simon Doonan and Dayna Isom Johnson. Click here for more information. High schooler Ayumi’s perfect world evaporates when her envious classmate Zenko somehow steals her body, her boyfriend and her life. Click here for more information. Faking his death to escape the realities of his uneventful life worked out well for Brij Mohan — until he was sentenced to death for his own murder. Click here for more information. After she’s left at the altar, a workaholic advertising executive ends up on her Caribbean honeymoon cruise with her estranged father. Click here for more information. This film stars Kristen Bell, Kelsey Grammer, and Seth Rogen. In 1980s Galicia, Spain, a young fisherman becomes a prosperous cocaine smuggler by providing Latin American suppliers with a European entry point. Click here for more information. Random Acts of Flyness is a late-night series from artist Terence Nance (An Oversimplification of Her Beauty). The six-episode season explores evergreen cultural idioms such as patriarchy, white supremacy and sensuality from a new, thought-provoking perspective. Click here for more information. These uncanny tales reveal a world where individuals face the tragic consequences of social pressure, parental oppression and family dysfunction. Click here for more information.